Endometriosis affects one out of every 10 women of childbearing age. The painful condition can significantly impact your quality of life and your ability to have children. 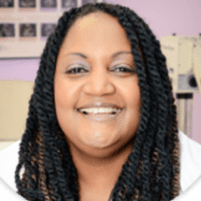 Angela Hudson, MD, at Women’s Healthcare Center of Georgia, in Powder Springs, Georgia, is a woman’s health expert who provides medical and surgical treatment for endometriosis. Call today or schedule an appointment online to learn more about your treatment options for endometriosis. Endometriosis is a health problem that occurs when the endometrial tissue, which is the tissue that lines your uterus, grows outside your uterus. It’s a painful condition that can affect your ovaries, fallopian tubes, and the lining of your pelvis. You may be more at risk for endometriosis if you started menstruating at an early age, haven’t had a baby, or there’s a family history of the condition. Dr. Hudson determines if your symptoms are due to endometriosis after an examination, review of your medical history, and special testing. An ultrasound is a noninvasive test that uses soundwave technology to generate images of your reproductive organs. It may not provide a definitive diagnosis of endometriosis, but an ultrasound can rule out other causes of your pain. An MRI is a diagnostic test that provides detailed images of your reproductive organs and can show Dr. Hudson if your symptoms are in fact due to endometriosis. An MRI may also be used as a tool if surgery is recommended. A laparoscopy is a minimally invasive surgical procedure that uses a laparoscope, a surgical camera, to view the inside of your body through a small incision. Treatment of endometriosis depends on your symptoms, the extent of the growth, and your future pregnancy plans. To help control pain, Dr. Hudson recommends nonsteroidal anti-inflammatory drugs (NSAIDS). Hormonal medications, including birth control, may be prescribed to slow the rate of growth of your endometrial tissue. Surgery may also be recommended. If you plan on having children and the endometrial tissue is affecting your ability to conceive, you may benefit from conservative surgery for your endometriosis. During this procedure, Dr. Hudson removes only the endometrial tissue while maintaining the integrity of your uterus and ovaries. However, the endometrial tissue may grow back. A hysterectomy a last resort, but will prevent the regrowth of your endometrial tissue. For expert medical care of your endometriosis, call Women’s Healthcare Center of Georgia, or schedule an appointment using the online booking button.